Are you wondering about door installation 20781 service providers in Hyattsville, MD? You might not be aware, but the entry doors to your business or residence express a good deal regarding what lies ahead beyond those doors. If your entrance doors are unattractive and aged, what message do you really think is represented to the community with regards to your home or business? Oftentimes, it is necessary to give those outdated doors some elbow grease or even carry out regular maintenance. 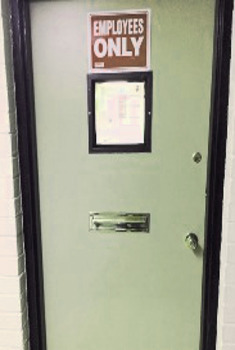 King Door and Lock delivers top notch Prince George’s County door installation solutions for residents and business owners of Hyattsville, MD with professional and courteous service, free quotes, and 24/7 door repair or installation. We’re a local, trustworthy business that proudly provides quality services to residents of Hyattsville. Our techs are extremely qualified and experienced, and we specialize in repairing and replacing commercial, garage, and residential doors. There are various excellent reasons to consider the maintenance or replacing of a door. External doors usually take a beating from Mother Nature through the roughest seasons of the year and overtime, suffer from enough wear-and-tear that door replacement is essential. Oftentimes, a door’s visual appeal becomes outdated and it’s really time to give it an update to something more current. In other cases, your door may just need maintenance service like doorjamb repair, door hinge repair, and door frame repair. Interior door repair and replacement occurs for reasons like wear-and-tear or defective door components. The good news is that whether or not the doors to your business or home will need maintenance or a whole upgrade, King Door and Lock Maryland and DC has your home, office, and garage door installation and repair needs covered. The garage to your property has a couple of important jobs. This is where you most likely park your car or where you store personal possessions. It is also an access point to your home or office, meaning if the garage door to your home isn’t functioning properly it could encourage thieves. In the event your overhead door all of a sudden breaks, there’s a chance you could be locked in or out and unable to leave the garage unmonitored. To avoid unexpected garage door problems that occur at the most inconvenient times, King Door and Lock’s techs work around the clock to offer emergency overhead door replacement in the 20781 region of Hyattsville, MD. We are able to also make regular service calls to inspect your overhead door and make sure that the hardware and locks are working properly. There isn’t anything more frustrating than having a door that won’t open or close properly and this may develop into a security threat, especially if it comes to the balcony doors of your home and entrance door replacement. In the event your home’s patio doors break, anyone could gain access to your house. This can be a significant security threat. Luckily, 20781 homeowners will be able to rely on King Door and Lock to repair damaged balcony doors in Hyattsville, MD. In addition, we install and fix household doors for Hyattsville residents which includes: repairing front doors; front door installation; interior services such as the repair and replacement of closet doors, bedroom doors, pocket doors, and balcony doors. If you own a business, then it is important to maintain the doors to your office. It is necessary to keep the people who open and shut your business’ doors free from danger. Every time a door is not working correctly, particularly an automatically closing/opening door, this might bring about an unfortunate injury. Moreover, if the doors to your office are not in working order, this may have an effect on electricity bills as well. No matter your door service requirements, we’ve got them covered. Also, since we are local to the 20781 vicinity, we take great pride in excellent customer satisfaction and supplying top notch services. Contact us ASAP when you’re considering upgrading the doors to your home or office, or if your doors require upkeep or repairs. If you’ve got a door requiring repair work, we’ll advise you truthfully whether it would be more affordable for you to repair the door or have it replaced. With experienced technicians, helpful staff members, and transparent pricing, you can expect services that will exceed your expectations. Call now for a free quote or to discover more about our door installation 20781 expertise! 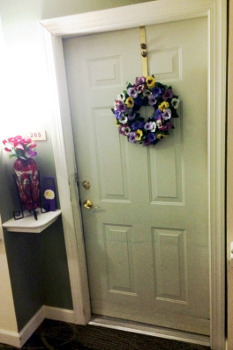 Door Installation 20781 Company in Hyattsville, MD https://kingdoorandlock.com/maryland-door-installation/prince-georges-county/hyattsville/20781-md/ 4.1/5 based upon 12 reviews.